At 15cm, this lovely Rustic Life Ring Plaque with Fishing Boat is an absolute must for any nautical themed gift shop and is sure to be a hit with customers. 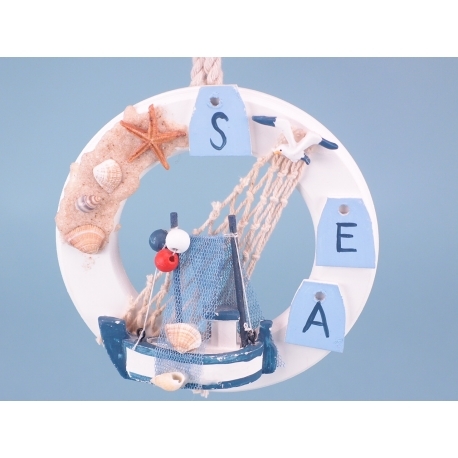 The boat features details such as buoys, netting and a seagull flying overhead to depict a realistic scene of a boat out on the waves, and would make the perfect gift for all. This lovely Rustic Life Ring Plaque with Fishing Boat is an absolute must for any nautical themed gift shop and is sure to be a hit with customers. At 15cm, this plaque is painted in traditional nautical colours, including white, red and blue. This lovely plaque has lots of intricate detailing, such as a sand effect with dainty shells to depict the sea shore, as well as a wonderful model of a recreational fishing boat. 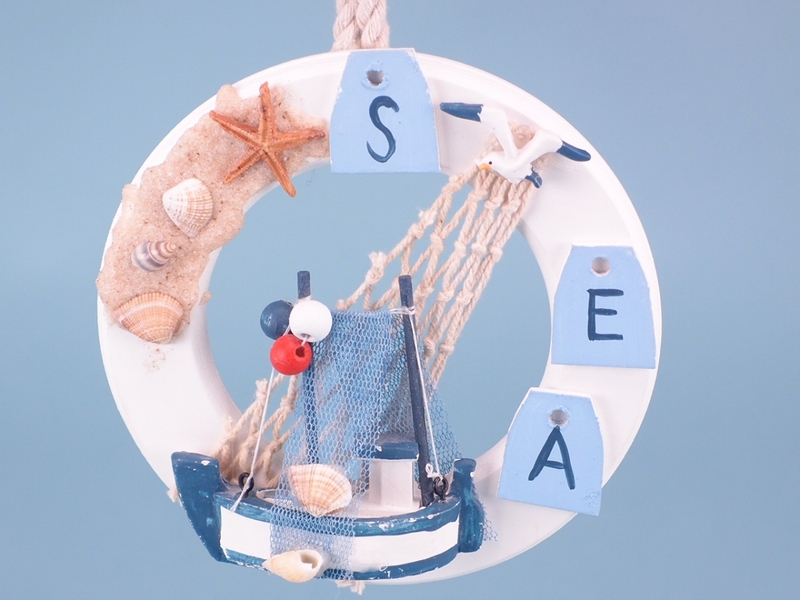 The boat features details such as buoys, netting and a seagull flying overhead to depict a realistic scene of a boat out on the waves, and would make the perfect gift for all.